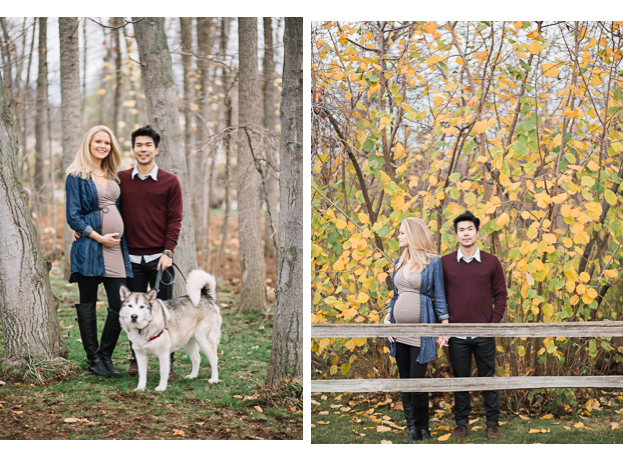 Tamara and Kohei are expecting their first child this winter! They drove up from Vancouver for their session and I am so happy they did! They were so fun to work with and they brought their sweet puppy along too! We went to the Gellatly Nut Farm nestled in West Kelowna here in the Okanagan. They loved the rustic feel the log cabin brought as well as the remainder of the beautiful fall atmosphere. Leave this sweet couple some love below!